It took its sweet time, but Grand Theft Auto V is now out on PC. And, in terms of PC ports of console games, it appears to have been worth the wait. I’ve been playing it for a while now and yes, it looks great, and yes, it’s still the same great game, but what’s of most interest to PC gamers is how, well, PC this port is. Especially when it comes to the settings. Other publishers of console games that also appear on PC: this is how you do it. 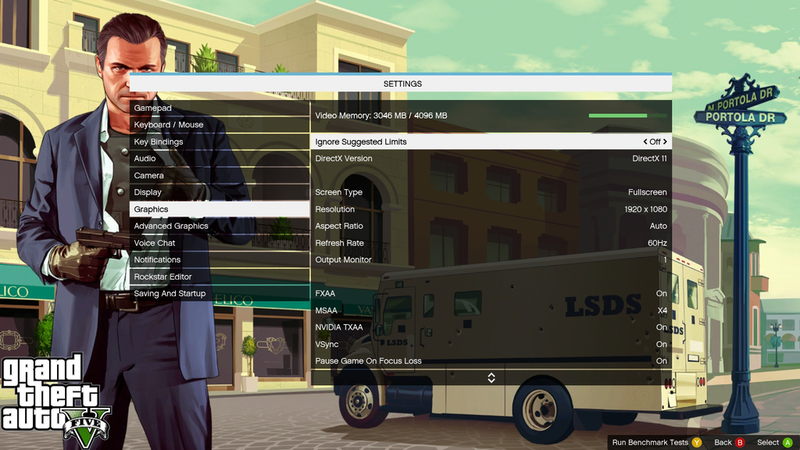 From the real-time video memory updates up top (letting you see instantly the effects of the settings you’re toggling) to welcome tweaks like manually choosing the output monitor and overriding suggested limits, there’s a lot to mess around with here to help you get the game looking as good as you can possibly get it. And look good it does: my PC (GTX 980, i5 4690, 16gb RAM) as you can see here has just about everything maxxed out and is running a very smooth 60fps (I’ll upload some footage later tonight). No crashes, no weird issues. Yet. The video below takes you through the settings; watch the video memory go up and down depending on what’s selected.